Selecões: Imagem alpha channel_lc - Seleção1 - Seleção2- Seleção3. Seleção4. Preset katrina(mp) do Eye Candy 5/Impact/Glass. (Dar duplo clic sobre o preset para importar-lo ao Plugin). Preset Illumination\Lights_unforgettable. (mp) ( Guardar em sua pasta de Presets My PSP Files). 1-Abrir alphachannel_lc, fazer uma cópia, fechar ( minimizar ) a original. Preencher com o gradiente formado pelas cores selecionadas acima. Configurar Radial. Angle 45 \ Repeats0. Invert marcado. CP :H =1 \ V= 100. Adjust\ Blur\ Gaussian Blur. R=46,00. Layer Duplicate . Rezize 80%. Effects\ Edge Effects \ Enhance. Image \ Mirror Horizontal. Effects\ Distortion Effects . Pinch \ S=100%. Effects\ Edge Effects \ Enhance More. 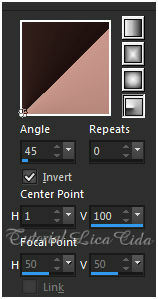 Effects \ 3D Effects \ Drop Shadow 1\ 1\ 85\ 40,00 Color=000000. 3- Selection\ Load Selection from Alpha Channel Selection #1. Nova Layer. Preencher com a color=#ffffff. Selections\ Modify \ Contract 1 pxls. Delete. Flood Fill \ Opacity 28% . Preencher o restante da seleção. Selections\ Select none. Effects\ Image Effects\ Offset . H=71 \ V= ( menos ) -130 . Custom e Transp. Layer Merge Down. Effects\ Image Effects\ Seamless Tiling: ( print ítem 2 ). Ativar a layer inferior\ Raster 2. Layer Duplicate. Image Mirror Vertical. Layer\ Merge Down. 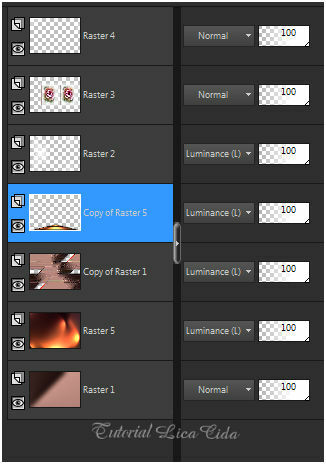 Ativar a layer superior ( copy of raster2 ) \ Layer\ Merge Down. ( raster2). 4- Selection\ Load Selection from Alpha Channel Selection #2. Nova Layer. Flood Fill \ Opacity 100% .Preencher com a color=#ffffff. Flood Fill \ Opacity 28% .Preencher o restante da seleção. Selections\ Modify \ Contract 30 pxls. Edit Copy no tube 4053-luzcristina\ Paste As New Layer. Resize 80%. Posicione. Plugin Alien Skin Eye Candy 5: Impact\ Glass... Setting\ use Setting\ katrina. Selections\ Select none. Layer\ Merge Down ( duas vezes ). Effects \ 3D Effects \ Drop Shadow 1\ 1\ 85\ 40,00 Color=ffffff. Effects\ Image Effects\ Offset . H= 381 \ V= 0 . Custom e Transp. Layer Merge Down. 5- Selection\ Load Selection from Alpha Channel Selection #3. Flood Fill \ Opacity 28% .Preencher o restante da seleção. Selections\ Select none. *( voltar a visibilidade da raster3). 6- Selection\ Load Selection from Alpha Channel Selection #4. DELETE. 7- Ativar a raster1. Nova layer. Selections\ Select All. Edit Copy no back lc \ Edit Paste Into Selection. Selections\ Select none. Effects\ Illumination Effects\ Preset Illumination\ Lights\ unforgettable. Effects\ Geometric Effects\ Perspective Vertical. Repetir a Texture Weave . Layer\ Arrange\ Move Up. Com ajuda da ferramenta Pick Tool desça o efeito como mostra o print. 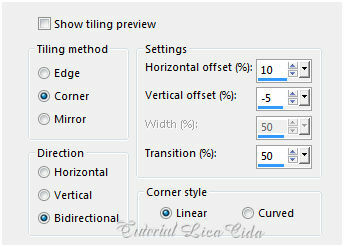 Emboss3\ mudar opacity para 69%. Effects\ Distortion Effects . Pinch \ S=77%. 10-Edit Copy no designal brushes 3_12. \ Paste As New Layer. Image\ Mirror Horizontal. 11-Edit Copy no tube @nn_150309_photos_vrouw-gieter-bloemen_tdstudio\ Paste As New Layer. Image add borderes 1 pxl \ color= #foreground. Image add borderes 30 pxls \ color= #ffffff. Effects \ 3D Effects \ Drop Shadow 0\ 0\ 80\ 40,00 Color=000000. Aparecida \ licacida , junho de 2017.